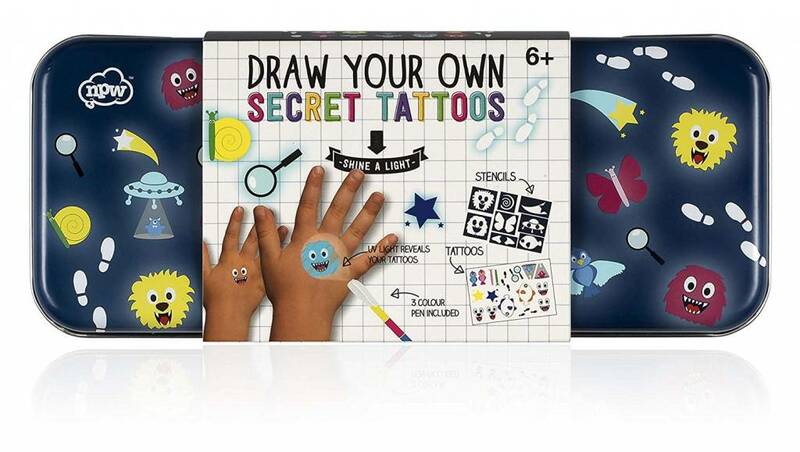 Draw Your Own Secret Tattoos - Grow Children's Boutique Ltd.
A super way to nurture the passion of the budding young artist, this kit contains everything you need to create your own invisible tattoos. Apply the fun transfer and colour in the stencils using invisible ink. Shine the UV pen and reveal your amazing finished piece.